New Mountaineer football coach Neal Brown is covering all of his bases in his new role at WVU. He left Troy the right way. He addressed the fans at halftime of a Troy basketball and thanked them. 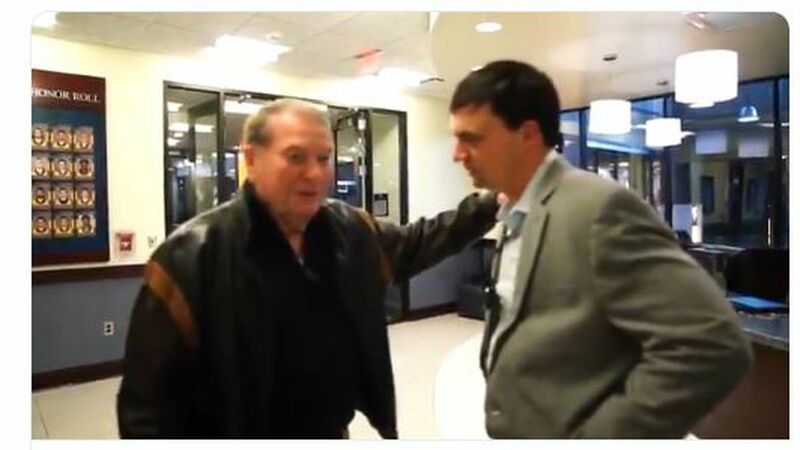 One of his first things to do at WVU was meet Mountaineer legend Don Nehlen. It’s awesome to be able to see the meeting of the two and hear them discuss West Virginia. Coach Brown also toured the Puskar Center with Mike Joseph of WVU. Shane Lyons said that Brown “was very well prepared” for his interview and had spent the previous 48 hours between the first contact with his agent and the interview viewing tape on current Mountaineers. Sunday night Brown was able to meet with his new players for about an hour. Neal Brown met with his team for an hour or so Sunday night. Shane Lyons said that Neal Brown will have about the same assistant salary pool that Dana Holgorsen did, which would be about $3.5 million. As far as which assistants will be retained, that has not yet been reported. The players are advocating for Tony Gibson in a big way. When Lyons met with #WVU players, some of whom were advocating for Tony Gibson's hiring, he stressed: "Their best interest was always kept in the forefront of finding a new head coach." The Mountaineer defense gave up 406 yards per game and was gashed by Oklahoma, Oklahoma State and Texas. That said, this can be said about most defenses in the Big 12. It will be interesting if the players demands are met when it comes to keeping Gibson. Many fans are willing to move on from Gibby, that’s for sure. Coach Neal Brown is doing an awesome job getting acclimated to his new position. He has a lot of work to do and it’s great to see him getting right in there and getting started.